Areas of Specialty: Dr. Rappaport is Board Certified in Pediatrics and Developmental-Behavioral Pediatrics. Clinical Care and Research Activities: Dr. Rappaport is a senior clinician and the first Chief of the Division of Developmental Medicine at Children’s Hospital Boston, where he follows children with developmental and behavioral issues from their initial diagnosis until adulthood. 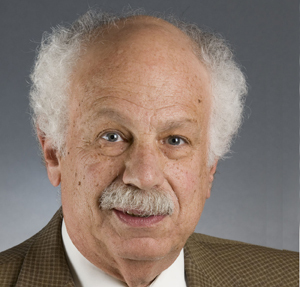 As a member of the Executive Board on three NIH funded grants, Dr. Rappaport examines the neurodevelopmental effects of various support techniques in the repair of congenital heart disease, comparing deep hypothermic circulatory arrest to low-flow bypass, and studying the effects of pH management techniques on developmental outcomes. In addition, for the past two decades, Dr. Rappaport has directed the clinical recruitment and phenotyping of children for collaborative research with Children’s Center of Genomics, focusing on merging research to improve the diagnosis and treatment of autism spectrum disorders. Rappaport L, Levine MD, Aufsesser C, Incerto RA. Children’s descriptions of their developmental dysfunctions. Am J Dis Child 1983;137:369-374. Bellinger DC, Wernovsky G, Rappaport LA, Mayer JE, Castaneda AR, Farrell DM, Wessel DL, Lang P, Hickey PR, Jonas RA. Cognitive development of children following early repair of transposition of the great arteries using deep hypothermic circulatory arrest. Pediatrics 1991;87(5):701-7. Oberlander TF, Berde CB, Lam KH, Rappaport LA, Saul JP. Infants tolerate spinal anesthesia with minimal overall autonomic changes: analysis of heart rate variability in former premature infants undergoing hernia repair. Anesth Analg 1995;80(1):20-7. Bellinger DC, Jonas RA, Rappaport LA, Wypij D, Wernovsky G, Kuban KC, Barnes PD, Holmes GL, Hickey PR, Strand RD. Developmental and neurologic status of children after heart surgery with hypothermic circulatory arrest or low-flow cardiopulmonary bypass. N Engl J Med 1995;332(9):549-55. Bellinger DC, Rappaport LA, Wypij D, Wernovsky G, Newburger JW. Patterns of developmental dysfunction after surgery during infancy to correct transposition of the great arteries. J Dev Behav Pediatr 1997;18(2):75-83. Rappaport LA, Wypij D, Bellinger DC, Helmers SL, Holmes GL, Barnes PD, Wernovsky G, Kuban KC, Jonas RA, Newburger JW. Relation of seizures after cardiac surgery in early infancy to neurodevelopmental outcome. Boston Circulatory Arrest Study Group. Circulation 1998;97(8):773-9. Bellinger DC, Wypij D, Kuban KC, Rappaport LA, Hickey PR, Wernovsky G, Jonas RA, Newburger JW. Developmental and neurological status of children at 4 years of age after heart surgery with hypothermic circulatory arrest or low-flow cardiopulmonary bypass. Circulation 1999;100(5):526-32. Bellinger DC, Wypij D, du Plessis AJ, Rappaport LA, Riviello J, Jonas RA, Newburger JW. Developmental and neurologic effects of alpha-stat versus pH-stat strategies for deep hypothermic cardiopulmonary bypass in infants. J Thorac Cardiovasc Surg 2001;121(2):374-83. Newburger JW, Wypij D, Bellinger DC, du Plessis AJ, Kuban KC, Rappaport LA, Almirall D, Wessel DL, Jonas RA, Wernovsky G. Length of stay after infant heart surgery is related to cognitive outcome at age 8 years. J Pediatr 2003;143(1):67-73. Wypij D, Newburger JW, Rappaport LA, duPlessis AJ, Jonas RA, Wernovsky G, Lin M, Bellinger DC. The effect of duration of deep hypothermic circulatory arrest in infant heart surgery on late neurodevelopment: the Boston Circulatory Arrest Trial. J Thorac Cardiovasc Surg 2003;126(5):1397-403.